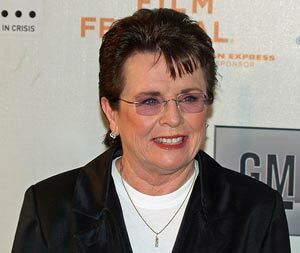 Billie Jean King was a champion American tennis player winning a total of 39 grand slam titles in an illustrious career. She also played a key role in fighting for greater equality between men and women’s tennis. Of her 39 grand slam titles, 20 were achieved at Wimbledon. She had an aggressive, impatient style. She hit the ball very hard and was quick to come to the net. It was this style of tennis that perfectly suited the Wimbledon grass courts. One of her great rivals, Chris Evert said that her main weakness was her impatience. 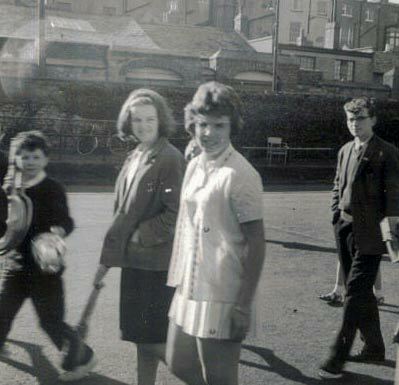 She first appeared at Wimbledon in 1961 as a young tennis player by the name of Billie Jean Moffat. She went on to play at Wimbledon on 22 occasions over a period of 23 years. She was a firm favourite of the crowd and in the early days was better known at Wimbledon than in her home country of US. She played a total of 265 matches at Wimbledon in both singles, doubles and mixed doubles. In 1974, she took part in one of tennis’ most famous encounters – dubbed ‘The Battle of the Sexes.’ Bobby Riggs was a former number one tennis player. 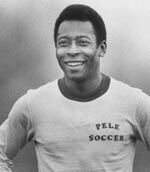 Now 55, he boasted that the men’s game was so superior to the women’s game that he could easily beat any of the best women players of the time. Initially, Billie Jean King was fearful of playing because she felt if she lost it would put women’s tennis back 50 years. However, after Bobby Riggs beat Margaret Court (who was a great opponent of Billie Jean King and beat her twice in grand slam final), Billie Jean King took up the challenge at Houston Astrodome in Texas. Throughout her career, Billie Jean King campaigned for better pay and recognition for female tennis players. – Billie Jean King, on Wimbledon’s decision to award equal prize money for men and women in 2007. In her early days, she was critical of the US tennis authorities for their promotion of shamateurism. Billie Jean was a keen advocate of professional tennis. For her efforts related to elevating tennis, she was ranked No. 5 on Sports Illustrated’s “Top 40 Athletes” list for significantly altering or elevating sports during the last four decades (1994). She was also named as one of the 100 most influential Americans of the 20th Century by Time Magazine. Since her retirement, she has worked for GBLT and is an active promoter of Gay and Lesbian rights in America. She also serves on the Women’s Sports Foundation and the Elton John AIDS campaign. In 2007, she launched Green Slam an organisation trying to make tennis more environmentally aware. Citation: Pettinger, Tejvan. 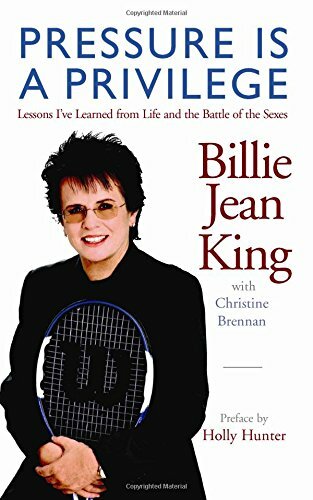 “Biography – Billie Jean King”, Oxford, UK. www.biographyonline.net 3 Feb 2016.